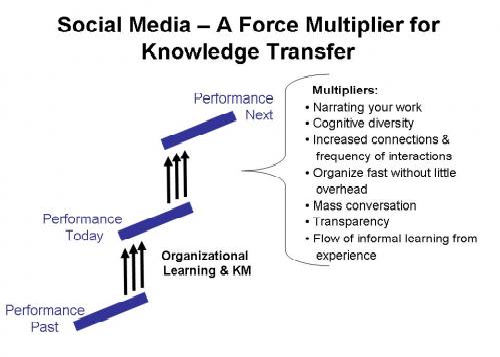 The word “Force Multiplier,” is used by the military usage, refers to any process that acts like an accelerator catalyst when combined with another process enabler. Force multiplier effect is when the joint impact becomes greater than either of the two processes ,or their individual additions, on the end result. So what processes would work as force multipliers in an IoT and Big Data world? Based on our experience in identifying and often creating new products for the commercial and IoE world we believe that great products need three legs to become truly effective. 2. Invisible Data Science: Data Science is the ability to use scientific principles with statistical algorithms by identifying patterns in very large volumes of data to identify previously unknown signals in a new and real-time manner. However, the big question in BI, SAP BW, BW on HANA and Big Data is how much of this complexity needs to be exposed to the consumer. The best deliverables are where the underlying data and the science becomes invisible and only the decision relevant information, alerts, predictions or prescriptions remain visible. Great analytics do not reek of complexities, data or algorithms but only of simple visualizations that enhance decisions. Simplicity is a not a technology solution but a human neural pathway nuance that gets activated by the right stimulus. Data Science has evolved quite a bit in the evolving definition on the role of data scientist. Initially in discovery phase it was very cold and technocratic. It then evolved by leveraging people from statistics and a background of working with very large data sets. It has now come to a point where simply producing interesting technical graphs is no longer the desired goal. The human factor is becoming more and more important. The new sauce is the ability to understand business benefits, human neural pathways, human behavioral science and user needs and then to deliver analytics where the underlying technical algorithms and data science becomes invisible. We are cross training our data scientists from being cold statisticians to warm behavioral science, business benefit and the human factor experts too. 3. The Technology: the foundation of all this is the technical capability of available options that can perform the tasks in accordance to predictable timeframes. As a baseline there is a need to have a minimum technology platform and infrastructure to meet some of the new challenges as a lowest prequalification for playing the big data game. For SAP customers it could be HANA, Hadoop, Horton Works/ Cloudera/ Sparks and Business Objects. While there is a lot of ongoing discussion of the business benefits and the operational side of IoE and Big-Data, one thing is becoming very clear ‘..in the near future enterprises should be less concerned about the sheer volume of of IoE device data, and more concerned about making it usable by different layers of consumers and administrators. For example Duke Energy is already thinking of the IoE competitive differentiator by enabling buildings, support vehicles, people, power plants and smart meters integrated into their operational analytics and management informatics. The problem here is no the data but in making it relevant for decision enhancement. Based on our lessons learned from the BI projects in the last two to three decades we need to firstly level the playing field by accepting the Gartners 2003 and 2012 BI reports that empirically reported that 50% and then only 30% of BI projects will meet business expectations. Anyone having read my papers is probably familiar, or even bored, with these Gartner stats – but the major question is what have each of us done about it and how do we plan to mitigate this risk as our data volumes explode in the very near future. Do we still want to work with the same partners, their experts, their resources and their methodologies that have got us to our current state where according to Gartner ‘more than 70% of the reports in your current BI production environment are not being used, or will never be used, by your business users’. Do you plan to replicate this reality in your new big-data and HANA platform? Business Scenario 1: Using IoE for higher customer experience and lower operational risk in the Hospitality sector. PrideVel is already a major provider of hospitality application for hotels and hospitals with applications and solutions for guest experience solutions. With the advent of the IoE connected device capabilities we are now looking at adding networked devices with capabilities of temp and humidity alerts from rooms, boilers, chillers, fire sensors, smoke sensors, humidity sensors, across hundreds of establishments and buildings in real-time. These centralized real-time streams are managed by a central command center that have a holistic view of a group of enterprise buildings, or hotels across a region, or a residential complex of high-rise buildings. These new IoT options for the hospitality sector provide real time alerts to critical risks like fire, leakages, unauthorized intrusion with a real-time visibility of mitigation assets in the proximity of the risk. Business Scenario 2: Using IoE for higher customer experience and lower operational risk in the Utility sector. Three factors are making huge difference in the utilities segment. The first is Smart Meters and all the data they produce that can be mined, filtered and shared with consumers for changing their usage patterns. The second is the ability of a home or an alternative provider becoming a provider and consumer of electricity. Homes, institutions and providers by installing solar panels, or other forms of generation capacity, on their property. The third is aging gas pipelines that need to be professionally monitored, tracked and replaced and scientifically monitored in order to avoid a gas explosion in a residential area like it happened in the San Bruno fire that gutted many residential homes and resulted in more deaths. There are solutions available for each of the three scenarios today. Business Scenario 3: Weaving IoE into the strategic selection of partners, methodology and deliverables applicable to general segments. In the strategic context almost every customer investing into SAP HANA has a high probability of using external data sources sometime in the near future. External here refers to the upstream and downstream value chain partners who have the potential to produce data that can impact decision efficiencies. This in a world where currently over 90% of enterprise analytics are currently conducted only on the midstream data, i.e. processes existing within the enterprise firewalls. Pridevel has created an asset base of SAP and SAP HANA strategic workshops combined with automated recalibration products. On one side our workshops provide executive checklists for strategic decisions including critical questions to ask for partner selection and at different phases of the HANA deployment initiatives. On the other we have a sleuth of automated products that meet our IQDCT (Increase Quality, Decrease Cost and Time) philosophy. By weaving strategic ‘business benefit’ considerations into the planning phase we have consistently saved companies millions of dollars in their HANA installation or migration plans. Why is the human factor in HANA deployments important? It has more than been validated that in most companies business actually funds most IT projects. Thus, business is the prime customer for new initiative and most of the IT deliverables like SAP HANA. It is business that is the judge and jury of what IT finally delivers. If business users do not like what they receive the project becomes a disaster zone rather rapidly. It is also currently prevalent to find that in many companies the following scenario: IT wants to deploy SAP HANA but business is stalling the decision with a ‘Show me the business benefit first’. Inn some cases IT has already deployed the technical solution but business is floundering with the true business value it brings. So why is this HUMAN factor important? 1. It assures consumer satisfaction scores: At the end of the line for any BI project or BW-on-HANA project sits a bunch of humans. They either like to deliverables or sometimes totally dislike what it provides. It is critical to the success of all projects by assuring the technology platform is right. When IT starts to take decisions on behalf of business owners and users things can become a little tricky. By involving the business owners and users early projects can substantially increase its success factors. 2. It focuses on 'business benefits' by making the technology transparent: From a technology perspective data is going to have volume, velocity and variety. It will be subject to machine learning, pattern recognition, map reduction, business filtering, textual mining, contextual visualization and a host of other filters that delineate the data and technology from the business needs of the end consumer. Business benefit focus allows solution architects to ‘box’ the transforms into neat bundles of ‘Consumer Relevant Matrix’ designs with a full understanding that consumers of information have different needs and think differently than the developers who create and transform data. It translates to that -business users have dynamic information needs that are driven by their sphere of influence vs. IT that has a historical view of reporting requirements based what their triad partner provide to them as solutions or what users have been using for the last 5 years. We call this as the CSS (Consumer Satisfaction Score) that measures the true success of any new technology installation. According to 2012 Gartner BI report most global BI projects will have a CSS of under 30% for the period of 2012-14. 3. It identifies the true customer: It is more than proven that the human users in the enterprise are the true consumers and the final customers for most IT initiatives. Gartner has been pointing this fact out since 2006 that IT has been segregating business from BI project decisions, and that business stakeholders need to take ownership and accountability of their investments. The human focus allows projects to deploy BVA (Business Value Attainment) methodologies that have consistently raised end suer scores from their current 20-30% to above 80% simply be adopting a different methodology and roadmap to deploying IT solutions – mainly those dealing with BI and Analytics. 1. STRATEGIC BENEFITS: how do we protect strategic investments based on decisions taken today? 2. IoE CONSIDERATION: Audit every selection through the strategic enterprise IoT and IoE needs across the full value-chain. 3. HUMANIZING: Replacing cold technical deliverables with warm ‘business benefit’ and user friendly ones by training and involving business stakeholders into the process. 4. BVA Impact audit: Audit every report in the production system for its ability to amplify business benefits, outcomes achieved based on actual user inputs and output signals from across the full value chain. Leverage CSS scores to measure true success of initiatives. 5. Leverage Business Benefit Force Multipliers: The solutions are clearly written on the walls the only issue is as to how many of us, as key decision makers, are willing to read the obvious. These Force Multipliers come packaged into half-day workshops, executive one page checklists, IQDCT methodologies along with automated tools for remodeling, re-coding custom ABAP and accomplishing system mergers, i.e. merge multiple SAP system into 1 prior to HANA migration. Actual Results achieved: At one of the world’s largest BW on HANA customer we reduced initial HW and SW investment by 68%, we reduced BW size from 97TB to under 20TB, we reduced NRR (New Run Rate on HANA) from CRR (Current Run Rate on BW) by 22%. At another retail customer we reduced the HW requirements by 52% with a 1 day workshop and 3 weeks of workshops with their SI Basis leads. At still another customer we merged 2SAP ERP system intone while in production, At still another we merged three regional BW systems into one prior to moving to HANA. So as you take, plan to take, or after having taken the SAP HANA leap- it is your choice to make this yet another leap of faith or one based on scientific principles leveraging proven best practices that deliver the highest quality at the lowest cost and in the shortest time.